Here's the gift every fan on your list will love. Just select the amount and send to them direct, or buy a bunch to hand out in person. 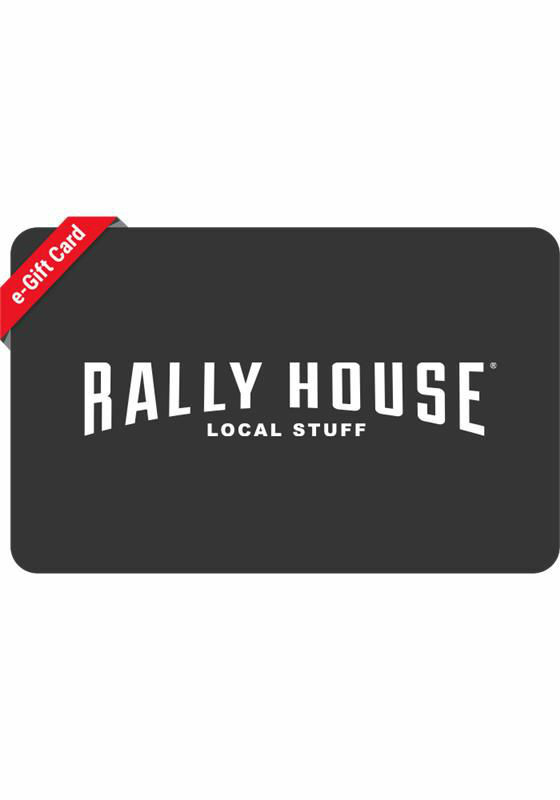 Rally House eGift Cards can be used online or in-store. Use our store locator to find the store nearest to you. Use of gift cards or in-store credit constitutes acceptance of the card terms and conditions. The card contains value which may be only used to purchase goods or services at Rally House or Kansas Sampler locations, and online at www.rallyhouse.com. Card will not be replaced if lost, stolen or destroyed. The card may not be redeemed for cash, unless required by law in the state in which it is sold. Card is not reloadable.